Nothing puts a damper on a phoning session for a financial advisor like a stale phoning list. Perhaps you have called everyone on your list quite a few times already or you’re not excited about the qualified suspects (QSs) on the list. Regain your motivation by infusing your phoning list with well-connected, successful QSs. For some of you that may feel impossible. You believe that you can’t continue to call the same clients for referrals, don’t have centers of influence (COI), and can’t think of any advocates. If this feels true for you, it’s time to make your own new referrals sources. Most financial advisors spend little time establishing a group of people who can be a great referral pipeline. You may find yourself hunting and pecking for QSs nearly one at a time. You are perhaps continuously meeting with the wrong people due to your lack of a prospecting strategy. And, dialing is only feeling worse and worse as your list ages a little more each day. Break out of this pattern by creating a plan. First, take the time to create a spreadsheet of all of the clients who are your best referral sources. Document when you ask, the result and specifically how you have been tending to the relationship. Continue to add to this list and make sure that these great referral sources feel very important and have plenty of touches. Thank them every time they give you QSs with a handwritten note. Stay in touch with greeting cards. Invite them to events. Send gifts for life’s milestones. Next, create your own COI. You can begin by learning more about your market. Become an expert on the service professionals in your area for yourself to get to know and also so that you can become a trusted resource to clients. Join and attend Rotary, Lion’s Club, a leadership group at your local United Way or other charitable organization and get involved. Attend community events that you genuinely enjoy and try to meet as many people as you can. It can be helpful to ask someone you know at an event to introduce you to others to break the ice. Once you have 4-6 professionals that you really respect, host a referral luncheon. 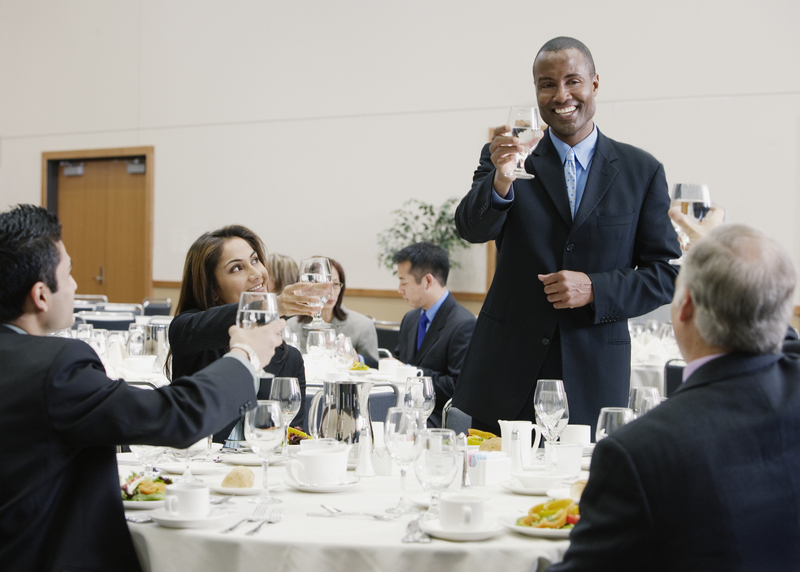 To host a referral luncheon, reserve the private dining room of a restaurant for a private luncheon for professionals who also rely upon referrals to grow their businesses. They may be attorneys, CPAs, payroll, benefits and recruiting companies, marketing and consulting firms and community leaders. Ask each professional to invite at least one other person they trust and to whom they actively send their clients. Ask participants to bring business cards and/or literature and be prepared to talk for a few minutes at the lunch about what they do and what type of clients like to work with. Bring along someone who can take notes on a laptop to capture everything for the group, including contact information, which you can later send out to the people who attended. Each month invite the group to bring someone new. Talk frankly about clients you want to work with and ask for help in meeting them. Other ideas include attending local business events, utilizing the services of other professionals and discussing prospecting relationships with them, and really getting involved in participating in your community. Chose community activities and events that genuinely interest you. Spend time out and about where you are likely to meet prospective clients (who are also prospective referrers). Add yourself to a group tee time at the country club with people you don’t know yet. Take up a new sport, hobby or activity. Get out from behind the desk and have some fun in environments that are conducive to meeting your target client. Another source of referrals is from advocates. These are people who may not even be your client! Advocates are people who care about you and are interested in helping you succeed. Try to broaden your definition of an advocate as much as possible and brainstorm all of your potential advocates—after all, you can create them, too. Here are some questions to ask yourself: Who has helped me out along the way? (A professor, teacher, mentor, athletic coach or other person who invested in your future.) Are there any friends of the family or relatives who could support your growth? What local business professionals do you admire or see as role models? Who sends you or your family holiday cards? Who remembers your birthday? To whom would you not hesitate to give your free tickets? What person can you call for ideas and support anytime? Who enjoys talking about business in general? Who can you provide referrals to and might repay the favor? Who saw your talent and believed in you early in your life? What professionals have you done business with? Who benefits from your success (and is not in the business!)? What people have offered help to you or your family? What organizations have you volunteered your time with or donated to? Do you have past employers, colleagues or employers you can reconnect with? Are there alumni, college sports, or college fraternity or sorority members you can reach out to? Do your children have parents that you routinely see at school events? Who would you really enjoy spending time with and learning from? Spend time every week cultivating, meeting with, thanking and building relationships with COI. Track your activities. If you have been starting at your dusty phoning list and feeling helpless, spend some time creating a new one! You have the power to reinvigorate it with people you truly want to call and do business with. Why not start today? Hi [Name], Hope this finds you well. I wanted to reach out because I am expanding my financial practice. Can I ask for your help? I admire the success you’ve had. Would you be willing to spend a little time with me to brainstorm people who have strong community connections, are successful themselves and might be open to meeting with me? I will give you a call the week of [_________] to schedule. Hope to see you then.